Netflix has been accused of using footage of the 2013 Lac-Mégantic rail disaster in both its original film Bird Box and a recent season of sci-fi series Travelers. 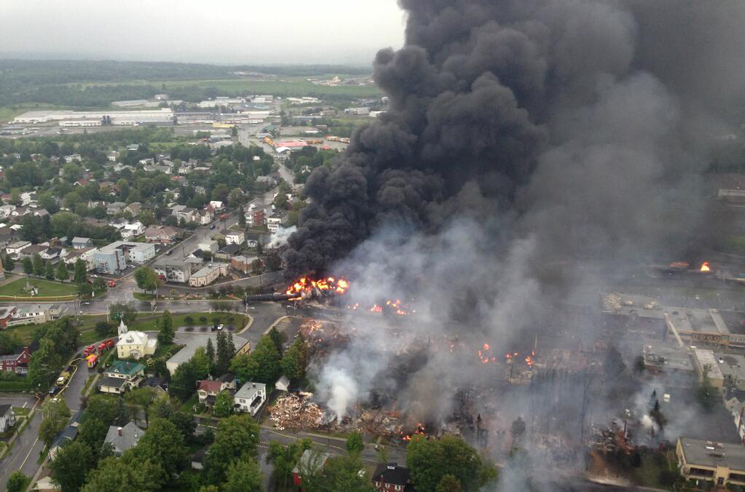 In July 2013, an unattended 74-car freight train carrying crude oil derailed in the Quebec town, exploding and killing 47 people, in addition to destroying roughly half of the downtown area. It stands as one of the deadliest disasters in Canadian history. In wake of the allegations against Netflix, Lac-Mégantic Mayor Julie Morin told the Canadian Press that she would like the streaming giant to investigate the use of the footage, in an effort to curtail any further use of the tragedy as entertainment. "I don't know if this is happening all the time, but we are looking for assurances from Netflix that…they are going to remove them," Morin said. "You can be sure we are going to follow up on this, and our citizens are on our side." She added, "We find that it's really a lack of respect, to use these images as fiction and entertainment. It's hard enough for our citizens to see these images when they are used normally and respectfully on the news. Just imagine, to have them used as fiction, as if they were invented." The use of the disaster footage in Travelers, a Canadian-American production that delivered its third season this past December, was recognized by high school ethics teacher Guillaume Bouchard. Confirming his suspicions through a search online, the show had used shots of the orange flames to set the scene of a nuclear device exploding in London. "I thought: No way. No way did they do that," Bouchard told CP. "I don't know anyone who died in Lac-Mégantic, but if I was someone who lost someone close and I was home and I saw this, I don't know how I would react. It wouldn't be good." Travelers' production company, Toronto-based Peacock Alley Entertainment, told CP that it acquired the footage through New York City-based stock image vendor Pond 5. "We sincerely apologize and had no intention to dishonour the tragic events of 2013," Peacock Alley president Carrie Mudd wrote to CP in an email. "We are already working to replace the footage in the show." A spokesperson for Netflix told CP that the streaming service had contacted Peacock Alley Entertainment to confirm that the images would be removed from Travelers. When asked to confirm if Bird Box made use of real-life footage, the company said it needed time to investigate further. The Canadian Press added that footage in Bird Box "is identical to amateur video shot immediately after the derailment," which can still be found widely online.